ADA – The pain-and-pleasure addicts who push their minds, bodies and souls to their uppermost limits as triathletes are part of a unique brotherhood and sisterhood that no one else quite understands. A lot of their friends and family can’t comprehend what possesses seemingly normal men and women to spend countless hours preparing to swim, run and bike long distances for no apparent reason – other than proving something to themselves about their mental and physical toughness and being able to tolerate pain. An open-water swim of 750 meters to 1.2 miles. 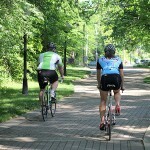 A bicycle ride of anywhere from 12 to 56 miles. And, finally, a road run ranging from 5K (3.1 miles) to the half-marathon distance of 13.1 miles. It’s the punishment that gives them so much pleasure. 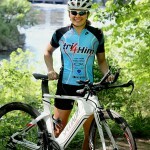 “I just have a passion for it,” said Abby Geurink, 29, a professional triathlete from Hudsonville, who’ll be defending her women’s Sprint title in the third-annul Grand Rapids Triathlon on Sunday, June 9, in Ada and Cascade. “People wonder sometimes, ‘How is that really fun?’ I don’t expect everyone to understand. “It’s a lot of character building for me. 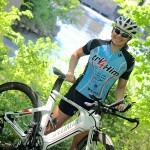 I’ve learned a lot about mental toughness competing in triathlons. I think we can get pretty obsessed. Definitely, there’s a little bit of obsession. I just think it’s hard not to get obsessed because you spend so much time in this sport preparing for these races and just pushing yourself. 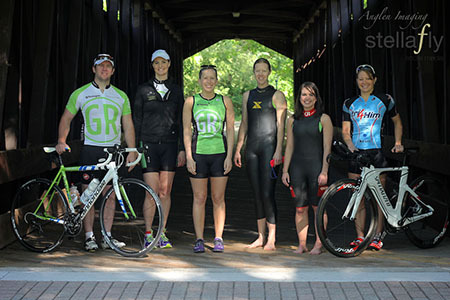 It’s a passion – or perhaps an addiction, obsession or compulsion – shared by about 1,500 triathletes preparing to test themselves by swimming, biking and running to the point of exhaustion in what is fast becoming one of the preeminent races in the state of Michigan. The Grand Rapids Triathlon attracted 900 participants in its inaugural year, swelled to 1,200 last year and is approaching 1,500 this year. The race is sponsored by Huntington Bank and Fox Motors. It attracts all ages, shapes and sizes. The ages of entrants last summer spanned from 13 to 78 and included several families, from fathers and sons and mothers and daughters to a grandmother-mother-daughter triumvirate that race co-director Andy Vidro exemplifies just how far-reaching the passion for the sport has become through the years. 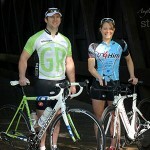 Andy and Ann Vidro are the lead organizers of the Grand Rapids Triathlon. 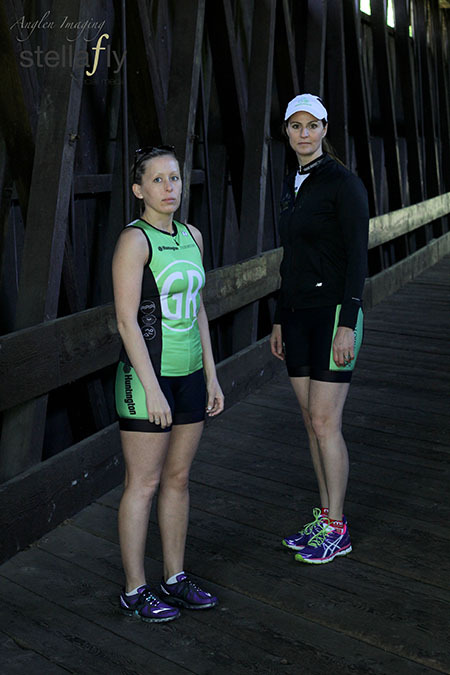 A pair of girlfriends from Jenison, Kat Gillespie, 24, and Maggie Thome, 25, are looking forward to participating in their first triathlon. 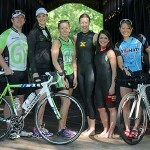 Both plan to compete in Sprint Division, consisting of a .47-mile swim, 12-mile bike ride and 5K run. Both are equally determined to prove they’re prepared to meet the challenge. Gillespie prodded her friend to tackle the intimidating task together. It’s ultimately why Geurink got involved in triathlons in the first place. The former all-state swimmer from Grand Haven High School and Michigan Intercollegiate Athletic Association champion from Calvin College had been a competitive athlete most of her life. Once she finished college, she just couldn’t turn off her competitive passion. She desperately needed an outlet for it. Friends recommended she enter a triathlon. She got hooked right from the start. 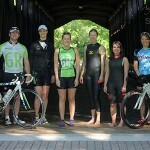 “I remember that first one,” Geurink said of the 2003 Reeds Lake Triathlon in East Grand Rapids. “I didn’t know what I was doing. I had to borrow a bike. It had this big leather seat that chafed me. I couldn’t get it off the rack. There were a lot of little things I learned that first time, but I had fun. It helps that Geurink, part of the Tri4Him faith-based team from Dallas, has her husband’s support. He also is a triathlete. 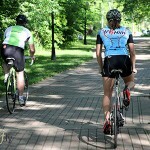 The couple trains together and takes its vacations around the triathlon schedule. A triathlon is one of the most unique accomplishments on life’s bucket list. 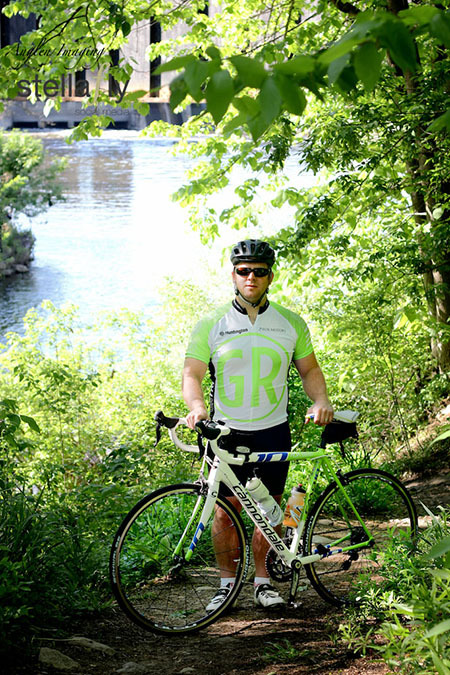 It’s not for everyone, but, for those inspired to pursue it, there is no greater natural high, according to Huntington Bank marketing director Michael Lindley, 59, of Grand Rapids, a dedicated triathlete. 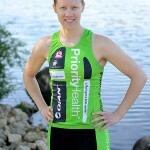 “Once you get the triathlon bug, it becomes more of a lifestyle than a sport,” Lindley said. “Year-round, you are more more in tune with your nutrition and fitness. It’s also a tremendous personal challenge. You push yourself to continue to improve your swimming, biking and running – always trying to set a new personal best in your next race. Then there is the ultimate challenge of the 140.6-mile ‘Ironman’ race. Lindley is at the extreme end of the spectrum when it comes to pain-and-pleasure addiction. He’ll push himself to the far reaches of his mental and physical spirit by swimming 2.4 miles, then riding a bike 112 miles and, finally, going for a nice leisurely run at the full marathon distance of 26.2 miles. What inspires him to keep pushing so hard? It’s part challenge, part fitness and, perhaps most of all, fellowship. 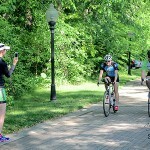 The minds and spirits of triathletes are so similar and tribe-like – much the same as marathoners – they take immense pleasure in talking about their pain while, at the same time, forming unflinching friendships that end up lasting a lifetime. 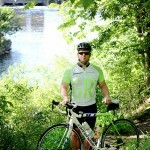 Todd Lawrence, 24, of Grand Rapids, is addicted to the triathlete lifestyle. “If you can do it, why not? Some people understand. I’d say 75 percent of people don’t understand why I do what I do. I get up at 5 a.m. and train three hours every day from 5 to 8 a.m., before going to school and work,” said Lawrence, a Grand Rapids Community College student and part-time Olive Garden server. “To me, it beats going out to the bar at night. I eat, sleep and drink triathlons. 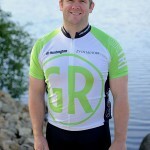 Mark Mochel, 43, of Grand Rapids, will compete at the longest distance in the Grand Rapids Triathlon. 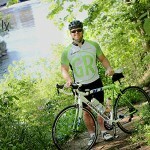 He is building toward his ultimate goal of entering an Ironman Triathlon, which doubles the full distance. “I get up at 4 a.m. to train every morning. It’s not for everybody, but it’s my thing,” said the husband and father of two children ages 7 and 11. “I’ve actually grown to love that early morning time. You’re out there all by yourself, it’s so peaceful and I get to watch the sunrise. Not everyone understands his obsession. But that’s all right. 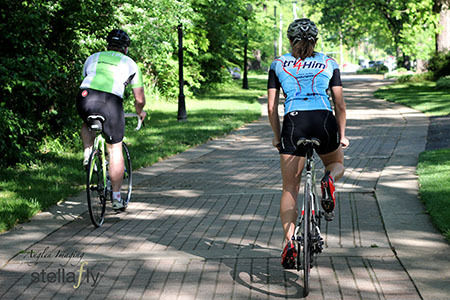 It is an almost indescribable passion – or perhaps an addiction, obsession, compulsion – shared by triathletes.